This versatile add-on solution lets you connect your iPod to a monitor in your car - and enjoy all your iPod entertainment, including movies! 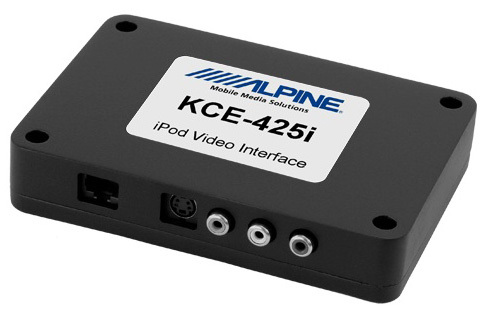 The black-box KCE-425i not only brings your current system up-to-date for watching movies, it gives you a gorgeous user interface that works similar to iPod, with same convenience and ease of use. Listen to your iPod music on your car system, watch iPod videos - even listen to audiobooks and podcasts, too. It's the perfect solution for bringing the iPod into an existing mobile multimedia system.